Revisit the Egyptian pyramids to see the new secret passage that has been uncovered! With the help of the 7 enchanting eyes, brought back to life by the Pharaohs, find your way through the deepest tombs to complete your collection of antique plaques. Smash your way through 120 exhilarating levels and tons of amazing bricks with the help of some power-ups that you have to see to believe! 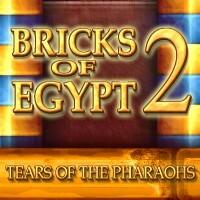 query: INSERT INTO accesslog (title, path, url, hostname, uid, timestamp) values('Bricks of Egypt 2: Tears of the Pharaohs', 'node/1446', '', '3.80.224.52', 0, 1556142848) in /home/surelion/public_html/drupal-4.6/includes/database.mysql.inc on line 66.